It actually doesn’t matter whether you ride the bike for commuting or long time riding. 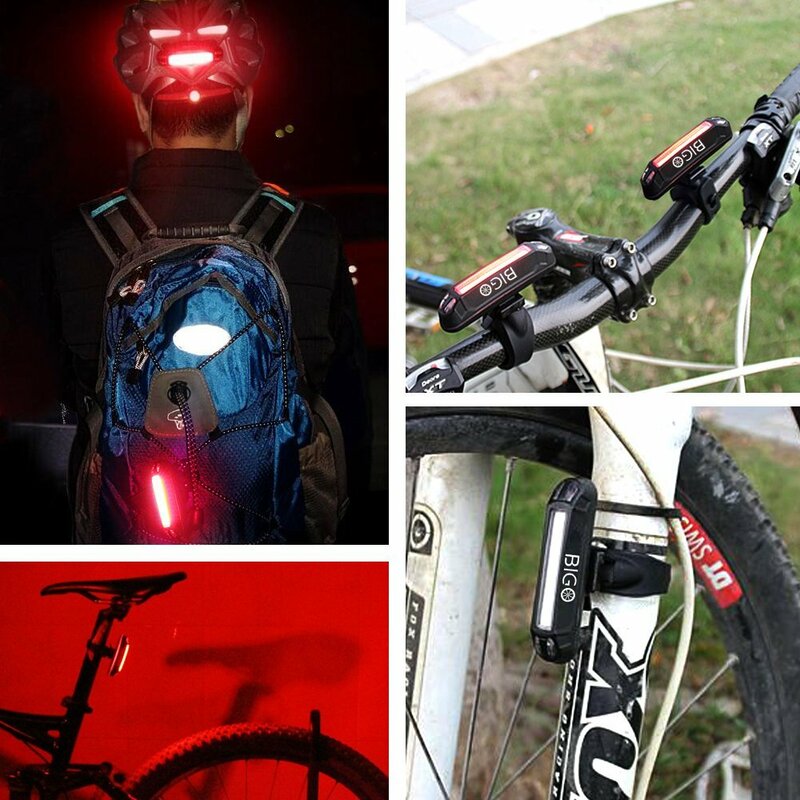 If you are an enthusiast to ride at night, you must attach a bike light to your bike. It’s not only able to illuminate your front path, but also it will make sure a clear visibility to the vehicles that likely comes from the front. But with attaching the front or head light if you attach a tail light, you can amazingly maximize your visibility even to the vehicles that come from the rear. If you ride at night, you can undoubtedly maximize the safeness by using a bike light. So before presenting the ten best road bike lights, firstly I will tell you something about how you can get the right bike light. Every bike light has a fixed lumen while the number of lumen ensures how brightest the light will be in illuminating. The higher number of lumen means the light is able to produce more powerful brightness with the long length of focus. The modern lights mostly feature the option to maintain the light in the multiple number of lumens . It helps to use the light precisely as the rider needs on riding while it can amazingly increase the battery life. Moreover, to establish a steady beam and clear out the shades or darkness in a public street, you don’t need to push the buttons to activate 800 or 1000 Lumens, because that’s not just a great solution to light up the street by the excessive length of the beam. It might eliminate the darkness and extend the length of the beam, but in a public street you don’t need excessive illuminations while it can bother the pedestrians and other vehicle owners. We have researched the opinions of a few expert riders and some of them recommend to keep the range of Lumens between 200-500 especially when you commute. Although 200-300 is the fair amount of Lumens for commuting, but if the pavement looks rough and the darkness looks inappropriate, you can switch to maximize the brightness. Actually, a 800, 1000 or more Lumen based light is all rounder. If you have the passion to conquer the roughness of unpaved, bump and mud based road at night, then you need the maximum awareness of every crucial spot in the terrain. In this crucial circumstance, you need the activation of 600 or 700 Lumens or more to get the clear view of anything in front you. On the other hand, for a taillight you don’t need the activation of 200 or 300 Lumens. Because, to be detected like a brightened star, you don’t need a huge amount of Lumens. Just, 50-100 can do a remarkable job. You must ensure the light has a longer battery life as if you go for a long ride without getting the light in shutting down. Getting the light off at night would be a horrible moment for the rider, so as a rider you have to ensure the light is continuously on. You can precisely use the lumens to get a good battery life. But if you keep an additional battery during your ride, it can give you a completely risk free journey. It’s not mandatory, but as a rider it can be my advice. When you choose an interchangeable battery based light, also make sure the light specifies a good lifetime of the battery. Because, spending so much for batteries can waste a lot money. Finally make sure you can mount the light to the handlebar simply. That’s why the mounting system for the light should be fitted to the diameter of any handlebar. Although, most of the lights ensure this option for the convenience of users. 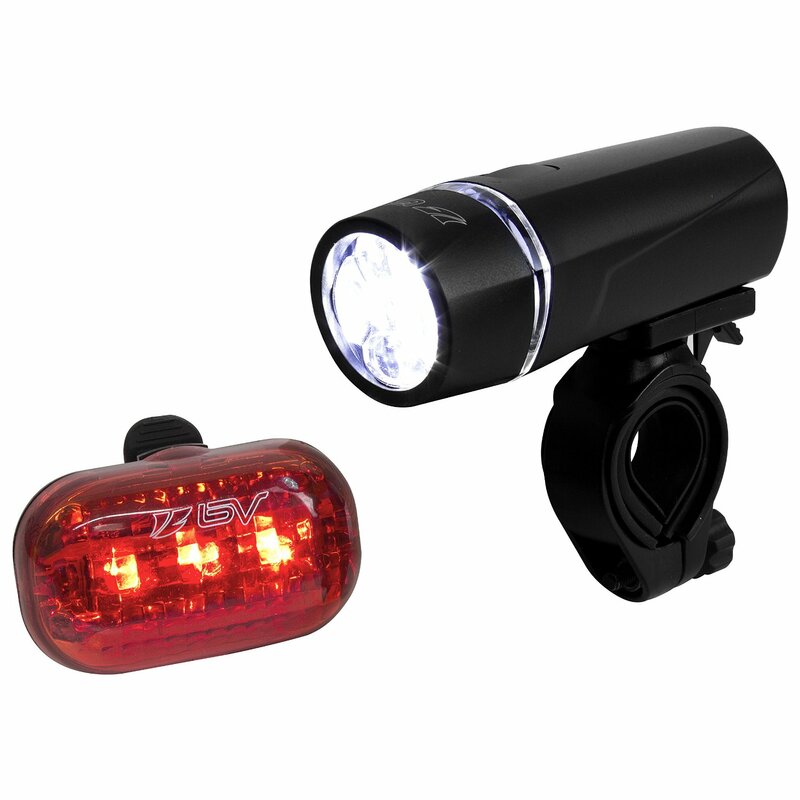 When you purchase a taillight, there is also the same case as it is going to be mounted to your seatpost or your helmet. But whenever it goes to be mounted to the tube, make sure the space in the bracket is adequate to hold the diameter of the tube. The taillight is all about making an appearance of the biker. So the vehicles can mark your position and they maintain a distance whenever they confirm the overtaking. A 50+ Lumens based light is adequate to highlight your appearance like a shined star. But being seen from the behind isn’t only enough to stay safe in the street. But also the side visibility is required to be perfectly safe. Here you may see our recommendations for the best road bike lights that are powerful and have a good battery life. The lights are also completely water resistant that means you shouldn’t have the fear if the light gets wet. We also added three tail lights in our picks that are great for your safe and optimal visibility in the road. 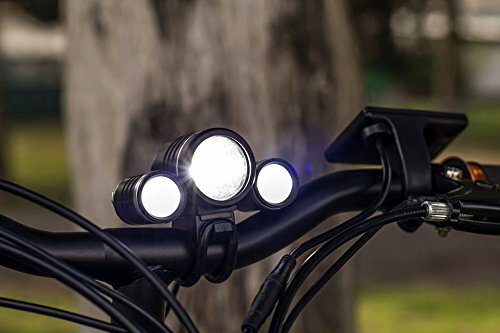 Undoubtedly I can announce this is one of the popular bike light around there and it has gained an amazing response from the riders for affordability. 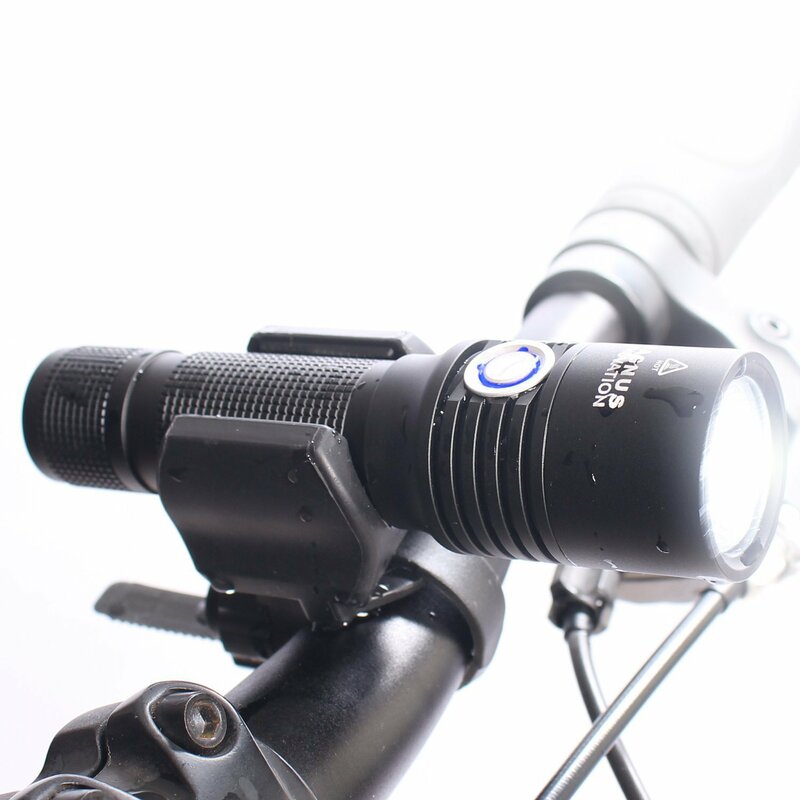 This 320 lumen bike light is composed with cree LED to produce the shiny illuminations while it can create 300 foot length beam from the front light. The light comes with four different useful modes that are high, medium, low and flashing. It uses a rechargeable battery that can be charged by any USB port supported devices. If you continue the illumination at high mode, you can keep the illumination up to 2 hours and if you turn it into flashing mode you can continue it for 5 hours.It offers a hassle free installation and because of the water proof design you can use it on any tough condition. 320 Lumens for adequate brightness. The cool illumination and firm beam won’t affect the vision of the pedestrians and if you mount the light on a measured angle, the focus would light up modestly in your targeted zone without bothering the pedestrians. The included tail light would be visible from the 360 degree angle, so, in the low light your visibility would be detected from multiple angles. Ipx 5 rated to illuminate in the sprinkled and heavy rains. Optimized with a few modes, so in the street if you want to blur the brightness, just use the lower modes. 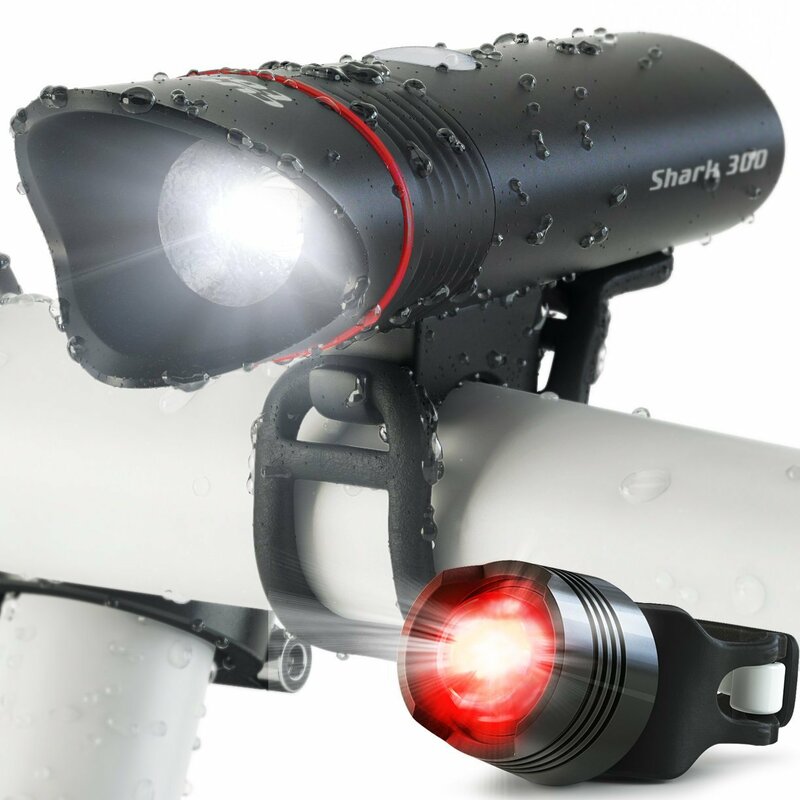 The Cycle Torch Shark 300 almost something like the Blitzu Gator 320 that is waterproof and has multiple lighting modes. 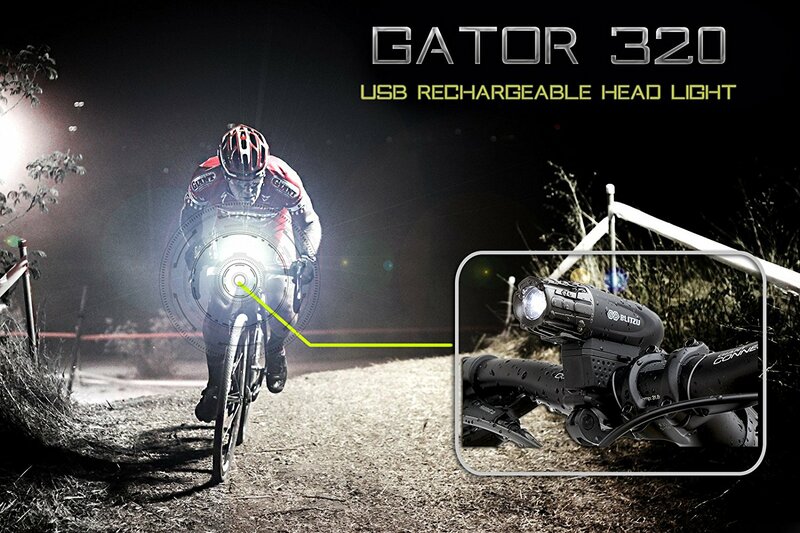 The bike light is amazingly affordable and can be charged by any USB supported device. The four different lighting modes are very useful to use it by your need, especially the flashing beams. Mostly we like to ride with group and that’s why you may not need to keep the light on at high. You can keep yourself almost safe by activating the flat mode or flashing beam and because of this option the pedestrians will thank you for not to disturb them. It also features a sleek tail light that you can use to ensure your hundred percent visibility. Tail light included to make rider’s visibility during commuting in the rain or fog. The mounting bracket can accommodate up to 60mm tube what cleared that the handlebar can go through the mounting bracket. Flat beam to illuminate modestly. The tail light flatters the illumination onto 360 degree angle. This is a very cheap bike light and buy only when you can’t spend more than a few bucks. To use it on your bike you must use six AAA batteries, but it has a good beam length as a cheap bike light that can reach up to 30-40 feet. It uses three LEDS into the light and you can active the light into three modes. The installation is easy with almost any conventional diameter of the handlebar. It also has a tail light to attach on the rear and because of the weather resistant feature it’s possible to use it on any condition. The light may be great for the riders who sometimes ride at night, but not good who rides almost regular basis. If you are a full time employer and prefer pleasure ride or commute to feel the amazing environment at night, the pair of headlight and taillight are suitable for hours of pleasure ride. The low cost also doesn’t demand a big budget. AAA battery operated, but 80 hours lifetime might impress anyone. Tail Light included that stays visible from 1500 feet. 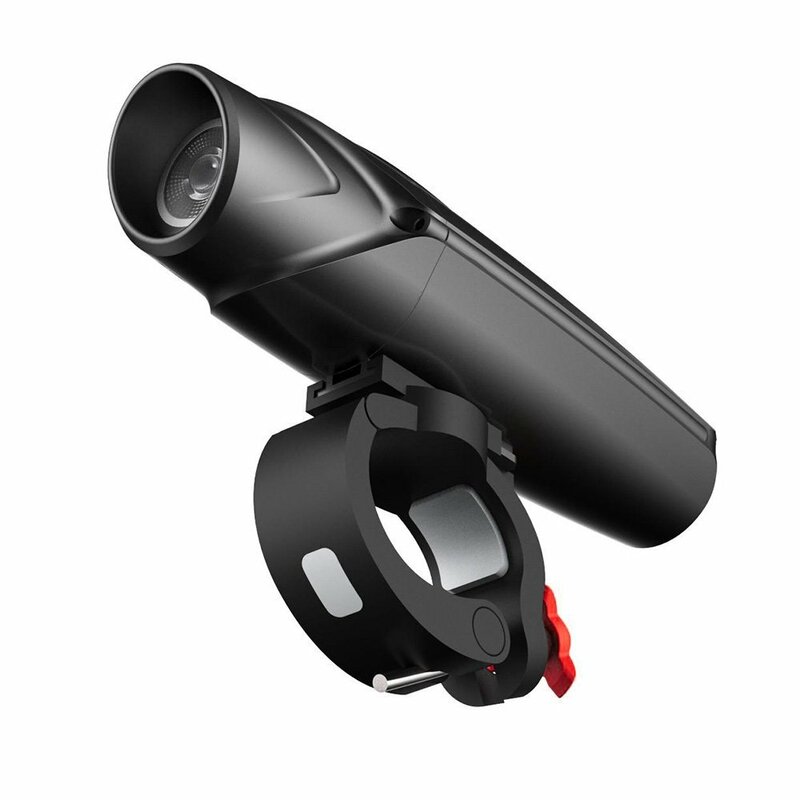 The Vision II 860 is one of the powerful bike light in our list that is equipped with Cree XML U2 LED for an ultra brightness. This 860 lumen based head light can create 820 feet beam that amazingly illuminates the front path. It has a surprising battery life time that can active the light at high or 820 lumens for up to 1.5 hours. As usual to use the light conveniently they also ensured five lighting modes while the light also offers an additional spare battery to use as a back up. This weatherproof hand crafted light uses high grade aircraft aluminum alloy to ensure an amazing construction level. And you can mount the light with the handlebars that are within 40 mm in diameter. Double rechargeable batteries. So if the one is dried, take an instant backup by another one. 1000 Lumens for off road biking, but you can active the 250 Lumens while commuting and on 250 Lumens the battery stays active for 8 hours. Aluminum hull is indestructible and it won’t crack like plastic hull. Waterproof construction, so, don’t be discouraged to ride in the sprinkled rains. This exceptional bicycle headlight comes with the powerful crystal clear LEDs that have almost 100,000 hours lifetime. You can surprisingly keep active the light up to 6 hours at high while in low light it can illuminate the path up to 10 hours. They use durable black aluminum to make the hull of the light while it can unchangeable if the light gets impact. 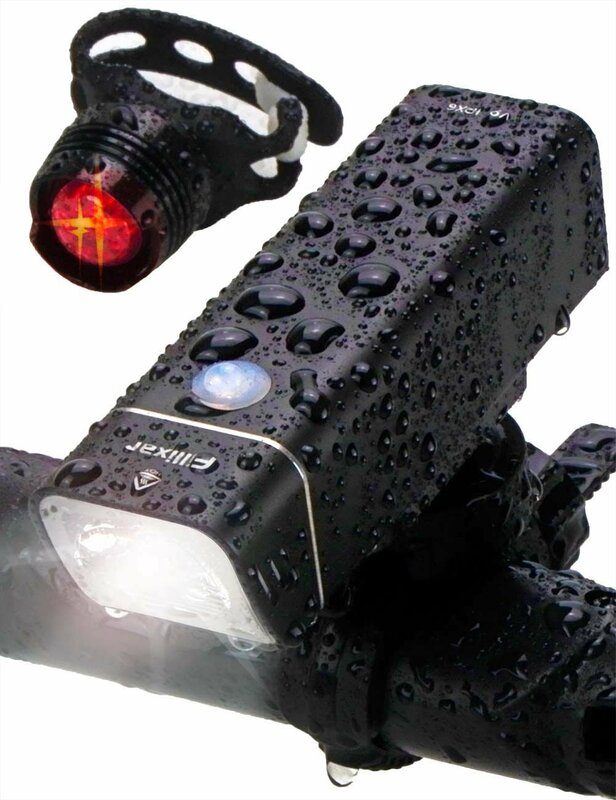 These waterproof lights are amazingly sleek and can be mounted easily to the handlebar without your extra attempt. It contains 4 batteries with the package as if you can use the other batteries as additional or sometimes as spare. It also can be available approximately at an affordable cost. Wherever you ride and which bike you use, from a low range to the high range mode, the light can be switched in multiple level of brightnesses by your manual direction. Rubber as mounting bracket for quick and strong adjustment. Undoubtedly one of the top rated bicycle headlights and after researching its real life performance we found the secrets why it recently shines in numerous headlights. 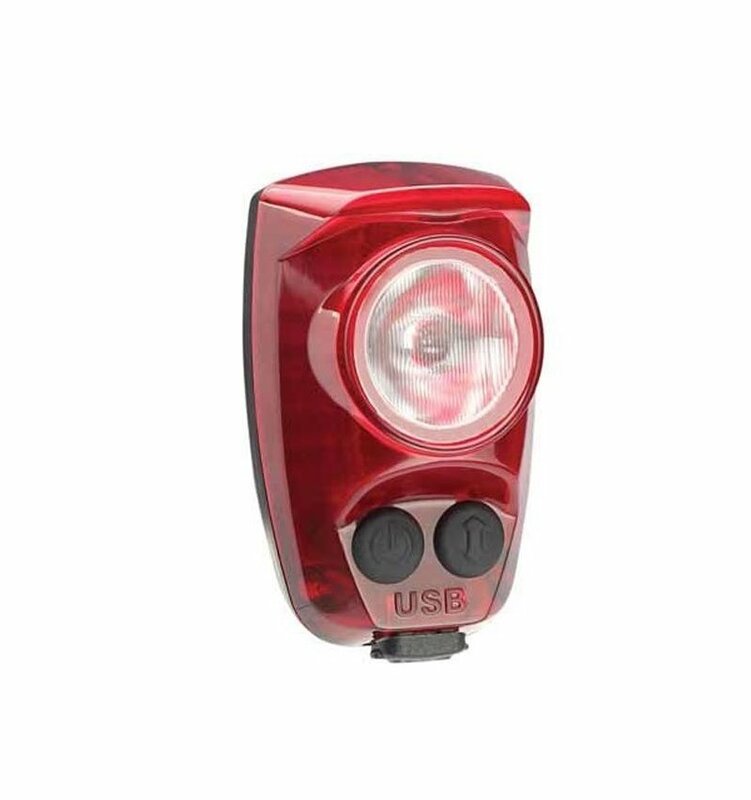 Honestly the Fillixar USB Rechargeable Bike Light can be your dependable accessory to stay on the street at night in any complicated weather conditions. According to the experience of some riders (we have researched some opinions), we can say like that the steady beam and battery lifespan won’t break the trust of a rider in the street while the IPX7 optimization ensures the LED and other parts are safe from the water. From a test it has clarified that the 800 Lumens provides 650 feet area coverage by the steady beam what can be like the huge darkness can’t hide the long front view of the dark road. Wired remote control ensures an easily reachable switch from where the light would be controlled in serious riding moments (for some specific options). 360 degree rotations for an accurate adjustment onto the required angle. Rain drops and water are blocked from entering into the hull. 650 feet longer steady beam is incredible (in maximum Lumens) to lighten up any crucial points. 1.30 hours-18 hours battery lifespan after every single charge. (1.30 hours on high and 18 hours on low). The beam length can be heightened or shortened up through switching the beams into multiple modes. Red, yellow and blue signals to guess the lifespan of battery after every single charge. No doubt our number six pick the Fillixar USB Light holds more energy, power and efficiency than this Augymer Bike Light. But that huge 650 feet area coverage by the straight beam is suitable for adventurous biker like who rides on off road at night. Although when you commute, you can shorten the beam length by reducing the Lumens. Because you don’t need 650 feet area coverage when you commute under the lamp posts. So to ride on the paved road under the lamppost or in the minimally darkest streets, 250+ Lumens with a longer battery lifespan would gift you non-darkest front path. Basically, this Augymer Bike Light with 400 Lumens and dependable 6 hours lifetime can be the evidence of many of your memorable journey. Great for commuter or road biking enthusiasts. Water resistant design at least unlocks the beams into the rain if you just want a memorable commuting time into the raindrops. A taillight eliminates the disappearance from other vehicles. The other modes under 400 Lumens are just a good option whenever you require average brightness and dim lights. Turn the angles anywhere you opt. Not a bunch of tool kits required to adjust the light. How would you be detected in the street to other vehicles without the lights? Literally the tail and headlight both contribute in riding to see and be seen. Although the front light makes the front view clear and simply warns about your appearance to other heavy vehicle that comes from oppositions. But without the tail light you are disappearing to other running vehicles right behind your bike. 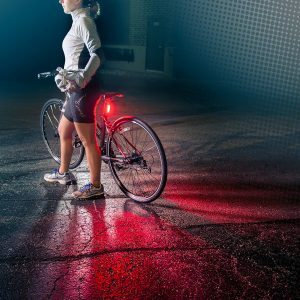 A tail light can raise a signal to the vehicles that even a few miles away behind your bike. So the Apace Vision Tail Light has been introduced to strongly highlight your appearance as the 30 LEDs in it lights up with wider 120 degree beams. As the reason, you would be detected from the behind and side while the crystal brightness under the red cover can be alive for four hours in a row. Wide beam with 120 degree visibility to be detected from multiple positions. Ipx 3 optimized casing as if the lifespan doesn’t be shorter because of water. Rechargeable to stay you away from wasting money for AAA batteries. 30 LEDs incredibly sharpen up the brightness. Like the headlight it can be switched to multiple modes. Versatile and you can confirm your availability by it for other activities. Not specific tools needed to adjust either with seatpost or your helmet. A 100+ Lumens tail light with 30 LED that is incorporated with straightforward casing while the illumination is remarkable in 50%-100% flashing modes. When you are riding on the highway and you require to be marked from an adequate distance, the high and overdrive flashing modes can clarify the presence in the road. But in the city, the low and medium flashing modes relatively enough to be seen by pedestrians and vehicles. If you active the light in full flashing mode, it can keep your appearance marked around other vehicles almost for two hours while the low or simple illumination can lengthen the lifespan up to 6 hours. Ipx4 waterproof design welcomes a rider to ride in the rain. The light can be visible in the snow or fog. Versatile and the mounting clamp accommodate the diameter of seatpost and handlebar. 6 hours battery lifetime in strobe mode. 30 LEDs for the optimal brightness that is also similar to 100 Lumens. To be honest the Cygolite Hotshot Pro 150 overcome our last three tail lights by the maximum Lumens and battery life. Although it’s a pro level cycling accessory and it incorporates a super powerful battery that incredibly retains the charges up to 210 hours. After researching several reviews on Youtube we built up a trust on this light. Although the 210 hours lifetime would stay promisingly if you use low brightness. But, it’s not only the star at night, but also the flashes of the daylighting mode gives an extra warning about your appearance in the road and when you are aware about your visibility at night, its power of switching the illuminations in multiple styles wouldn’t make a mistake to highlight your appearance. 150 Lumens are brighter as the tail light. Long and wider beam than our other picked tail lights. Daylighting flashing mode for a safe ride even in the daylight. Zoom, steady pulse and random flash to maximize your safety at night. 210 hour battery lifetime just requires a lot time to be dried up. Easy buttons to switch on or off the lights and change the modes. So why you will get the journey at risk? A bike light not just a bike light, it also would a great safety accessory for your bike. A bicycle light may not cost the hundred bucks, so why would you ignore it for some bucks?. So get a light and make the cycling journey more reliable.